I took this photo on a hot, steamy late August day on the banks of the Mississippi River near Vicksburg, Mississippi. The name of this plant just makes me smile. Fog fruit – I can just picture the fog rolling in from the river and resting around this little plant. The scientific name of this plant is Phyla lanceolata. Common names include fog fruit and lance leaf fog fruit. The tiny little rings of pale lavender flowers around a purple center are only a about half an inch in size. Each tiny flower is about 1/4″ in size or smaller and the very center of the flowers are yellow/orange. The flowers start to bloom at the bottom of the bloom and will finish at the very top. In bunches, the flowers are quite pretty and they caught my eye as I walked along the sandy banks of the Mississippi. Flowers appear in spring and last through fall. 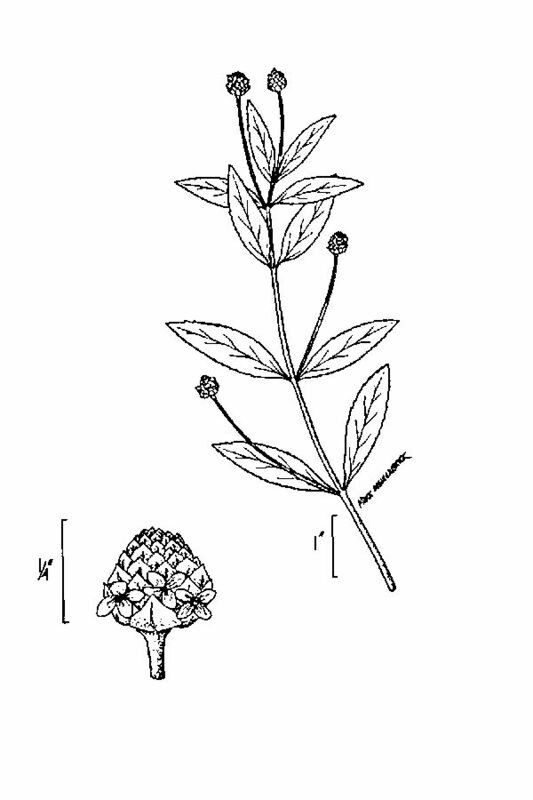 The leaves are oppositely arranged, lanceolate (roughly) or oblong, and roughly toothed at the margin. The stems can be square shaped. At most, the plant is 2 feet tall, but generally a bit shorter. The plant is perennial, so it comes back each year. 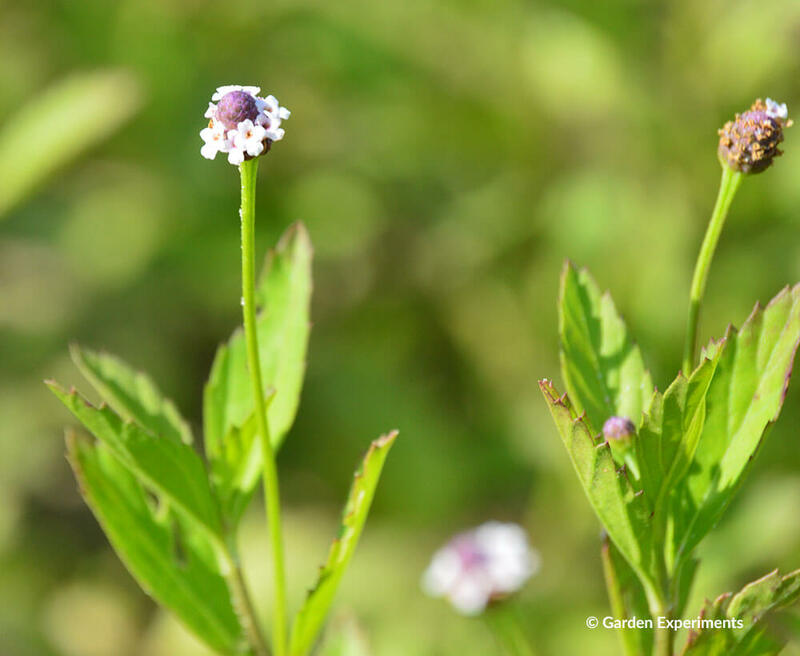 It’s a wetland plant and grows along the edges of rivers and streams and in wet soils. This plant was growing in full sun and generally this plant does best in full to partial sun. 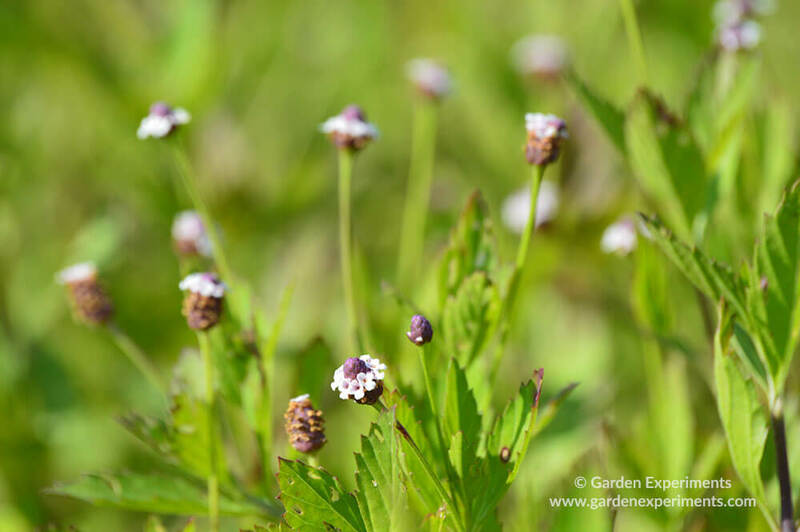 It’s in the vervain family, so if those little flower clusters looked familiar, think of the other native Verbenas. When I first saw it, it made me think of lantana, which is also in the same family (Verbenaceae). Fog fruit is native to the U.S. and Ontario, Canada. It can be found in all but a few of the states (37 total). It is a wetland species and often found along streambeds and in wet soils. In Pennsylvania it is listed as Rare and in New Jersey it is listed as Endangered. The flowers attract pollinators like bees, flies, and butterflies. Geese will eat the seed heads of the plant. I saw some tiny butterflies flying around the flowers on the day I took the photos.